Alnico magnet is made of metal alumium , cobalt , iron and other trace metal elements. The different composition cause different property, EUKE technician always can offer helpful suggestion to customer according to the various application. 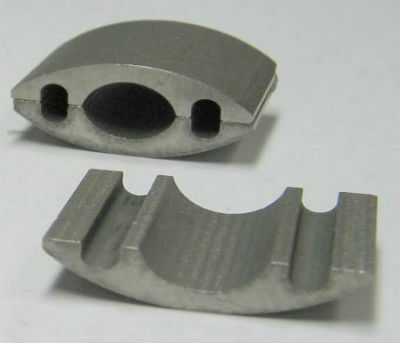 Our company can manufacture cast alnico magnets and sintered alnico magnets. Most alnico magnets belong to cast type, because the cast alnico magnet is easy to process into different size and shape, such as thin disc, ring shape, strip shape and other irregular shape. Cast alnico magnet owns better workability. Among permanent magnets, cast alnico magnet can stand highest working temperature more than 500℃ and the lowest reversible temperature coefficient. Compared with cast alnico magnet , sintered alnico magnet is more suitable for small Alnico magnet, and it is easy to control the tight tolerance. Euke MagTech Limited is leading manufacturer of alnico horseshoe magnet, alnico cylinder magnet , strip alnico magnet.